Curb appeal never looked so good. We are a full-service landscaping company with nearly two decades of experience serving our valued residential and commercial clients of Fairfield County. We are fully committed to 100% superior customer service, backed by a strong dedication to hard work, attention to detail and quality results. Whether you need a one-time or regularly scheduled snow plowing, regular landscaping property maintenance, full landscaping construction, dumpster services, fencing or something else - you can count on our expert team here at Reed's to get the job done right. Looking for a little creativity? Our goal is to work closely with you to bring your dream outdoor space to life. This means landscape design, selecting plants, materials and masonry, weeding and irrigation systems and much more. We're full of exciting, innovative ideas and ready to transform your vision to real life today. No job is too big or small, simply get in touch and we're on our way to a stunning outdoor space. Let your company's exterior shine. We offer full commercial maintenance - from weeding to mowing, hedge trimming, irrigation systems, seasonal monitoring and more. Want to love your home's outdoor space? Trust Reed's for all thing residential property maintenance, from simple to complex irrigation systems - we do it all! Looking to transform your commercial or residential outdoor space? We offer all types of landscape construction services - from drainage systems, to new plantings, to complete new lawns and masonry. Don't let all your project debris take over the yard. 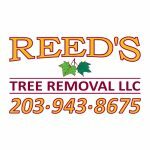 Count on Reed's Landscaping to clean up any landscaping or household debris today. We have 10 and 20 dumpsters for delivery. Call us for pricing. Looking for the perfect complement to beautiful professional landscaping? From pool to privacy, wood and vinyl, fencing is an ideal way to increase aesthetic appeal within the property. Harsh Northeast winter coming your way? Let Reed's plow you out - we offer complete snow plowing services for both residential and commercial properties. From our home base in Norwalk, CT, we're proud to serve our local customers in Greenwich, Old Greenwich, Stamford, Norwalk, Darien, Wilton, New Canaan, Westport and Weston. Not sure if we service your area? Get in touch with us today! We're ready and waiting to hear more about your residential or commercial landscaping project today! Please provide us with more information and we'll get back to you with a free, no-obligation quote.